Based on the Scottish writer Robert Louis Stevenson's novel by the same title, the musical follows the life of the young Jim Hawkins, a wide-eyed cabin boy aboard the Hispanola. In a desperate search for adventure, Hawkins decides to make his way to the dangerously mysterious Skeleton Island in search of treasure. During his travels, Hawkins encounters a string of unworldly characters including Billy Bones, the crazy Ben Gunn, Blind Pew, Israel Hands and the infamous Long John Silver -- one of the most cunning pirate characters in all of literature. But the question remains as to whether the young cabin boy will succumb to the devilish pirate way of life or return home safely with a big pile of gold? Giving a 21st century twist to this 19th-century tale, the SAC’s ongoing production combines a healthy portion of song and dance to the near two-hour play in an effort to make the storyline easily relatable to audiences of all ages. 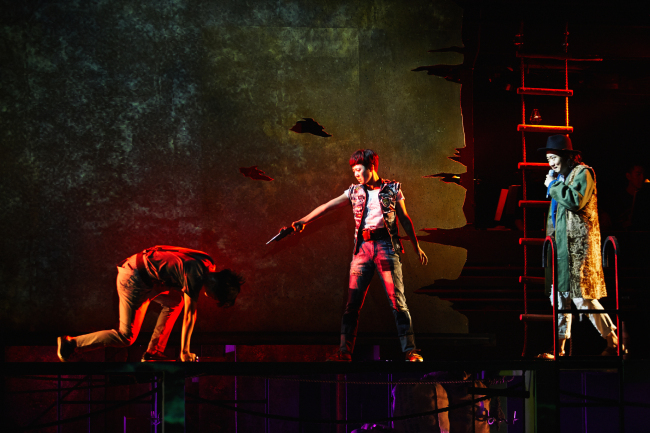 “Treasure Island” was directed by Lee Dae-woong, who is well known for taking classic novels and revamping the storylines by coupling them with family-friendly music, thus adding more color and flair to their live theater performances. In the past Lee has also directed plays based on “The Jungle Book” and the satirical Japanese novel “I am a Cat” by Soseki Natsume. 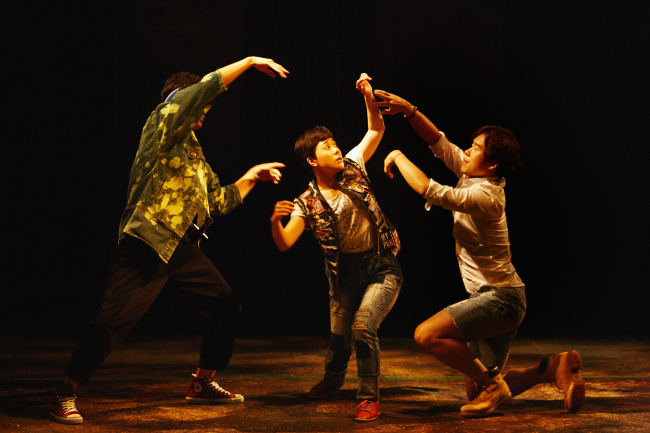 “Every year the Seoul Arts Center puts on a summer performance for kids and teens,” Lee said during a press rehearsal held on Tuesday at the Jayu Theater. “For this season when I received an invitation to perform one of my shows. I wanted to select a production that I felt could be universally enjoyed not just by young children, but a show that adults would not mind watching either,” he added. The character of Hawkins the cabin boy will be played by female lead Bae Bo-ram. “Treasure Island” also stars Kim Sang-bo, Yu Seung-rak, Han In-su, Kim Do-wan, Kim Jin-gon, Jeong Hyun-chul, Kim Ho-jun and Hwang Uie-jeong. The production runs 110 minutes without intermission. Ticket prices range from 10,000 won to 50,000 won. For more information, call (02) 580-1300.